September 25, 2015 By Liz 22 Comments Note: This post may contain affiliate links. But sometimes, I throw kale caution to the wind and make a full-on-no-substitutions-no-hidden-veggies dessert. I didn’t even add in chia seeds. I know. Who am I? Truthfully, it was partly because I was making these for friends and partly because I was craving a good old fashioned chocolate chip cookie. 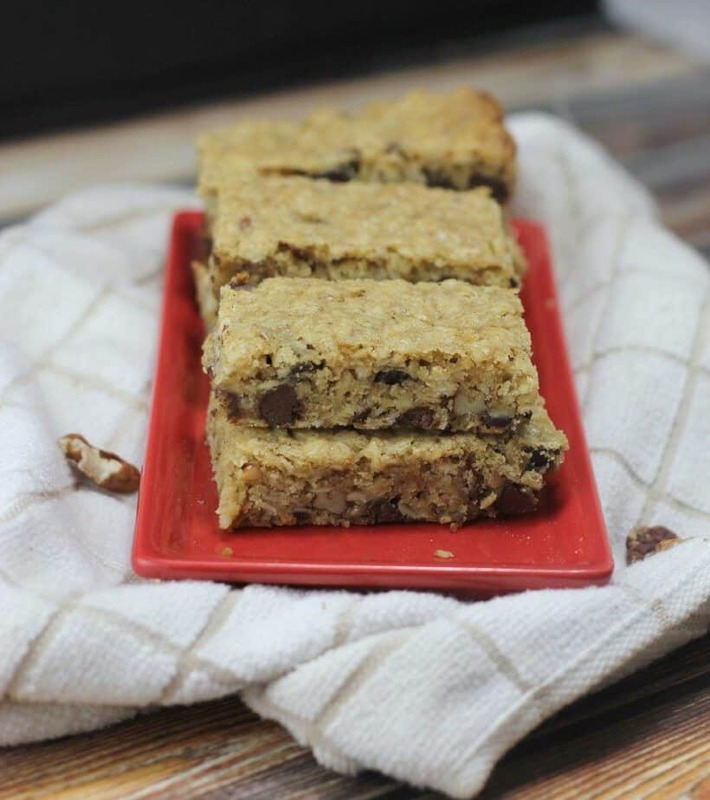 I didn’t have the right ingredients to make a traditional chocolate chip cookie recipe so I played around with a few things and the end result was a chewy, sweet, nutty cookie bar. They came out quite good. So good that I made them twice in the same week. Oops. But sometimes you just need a real dessert. Am I right? 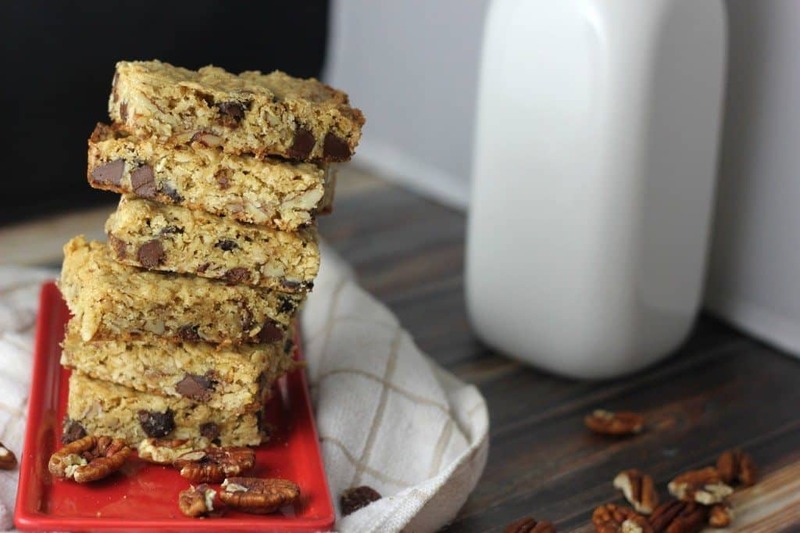 These ooey gooey pecan bars are a cross between pecan pie and a chocolate chip cookie! Spray an 8×8 baking pan with non-stick spray. Using a stand mixer (or hand mixer, whatever you have) beat together to brown sugar and butter until combined. Beat in the vanilla, maple syrup, and egg, until combined. Add in the oats, flour, baking soda, and salt. Stir by hand. Once it’s well mixed, stir in the pecans and chocolate chips. Press into the pan and bake for 15-20 minutes, until it begins to brown. But sometimes you just need something sweet, right? You might want to just go ahead and pin these for later. Just to be safe. Honestly, I usually try to lighten my desserts a little, so it was fun to make the “real” thing. Mmm. Chocolate. Do you try to “lighten” your desserts or go for the real thing? These look so good! I don’t usually lighten desert recipes. If I’m craving something sweet I go for frozen fruit, dark chocolate or just the desert itself! It’s def easy to go overboard sometimes though. Especially when my husband is on a cooking baking kick! You are very right! I almost always try to “healthify” my desserts, but I support going with the real thing once in awhile too. These look delicious! Pinning. I love nuts in baked goods!! I make light desserts if I want to have something to snack on before bed. If it is for a special occasion I all go all out! Oh, my! These look fantastic. 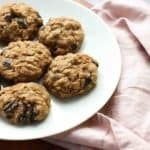 I like jacking up cookies with oats and nuts but I don’t try to cut calories with artificial sweeteners. Looks delicious! Pinning these for sure! Yum! 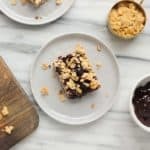 I totally go both ways on dessert – I like to bake healthier versions but also enjoy making the real thing. If I am bringing dessert to someone’s house, I usually make the real deal unless they request something healthier. Unless I’m making banana nice cream, I go ALL OUT for desserts: butter, flour, etc. 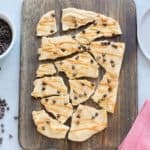 I love a good chocolate chip dessert recipe 🙂 PINNING. 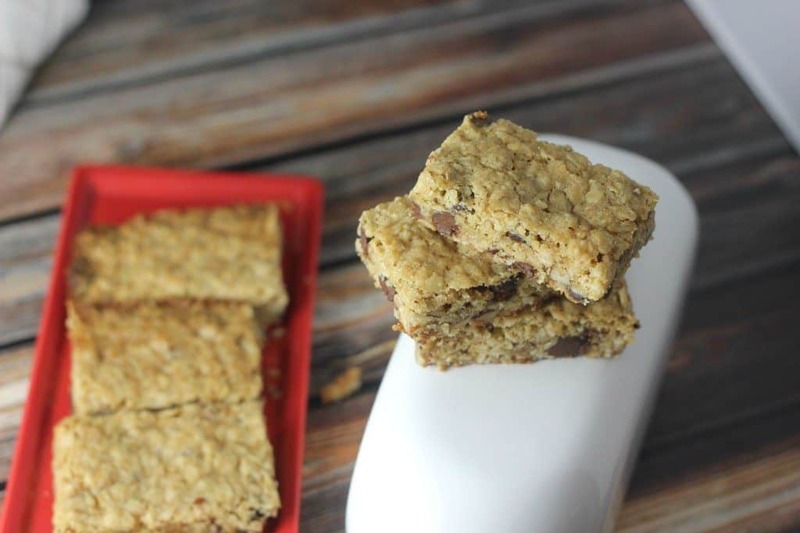 As much as I love to make healthy swaps, sometimes you just need the real thing. For example, I never mess with cake! Especially frosting. I need the real, butter and sugar filled good stuff! I have a major sweet tooth. And chocolate is my weakness. These look so yummy! These look awesome. And, YES, sometimes you just need to go for the goods. At least there were no hidden preservatives! So for me that’s healthy! Yes, sometimes you do need a real dessert – These look divine! Sometime you haVe to throw caution to to the wind and go with the real thing. These look really lovely!!! So excited to try these, they contain all my favorites! Love me some chocolate, pecans and oats!